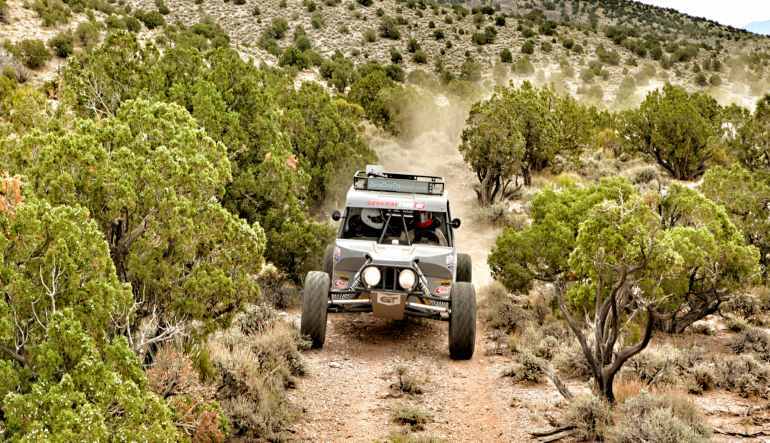 Take turns at the wheel - both guests can drive on this UTV tour through the Mojave Desert! Travelling to Vegas? You’re in for a ride—the world-famous sights, the lightening-paced rhythm of it all. And no, we’re not talking about the Strip but rather a few miles out in the breathtaking desert! 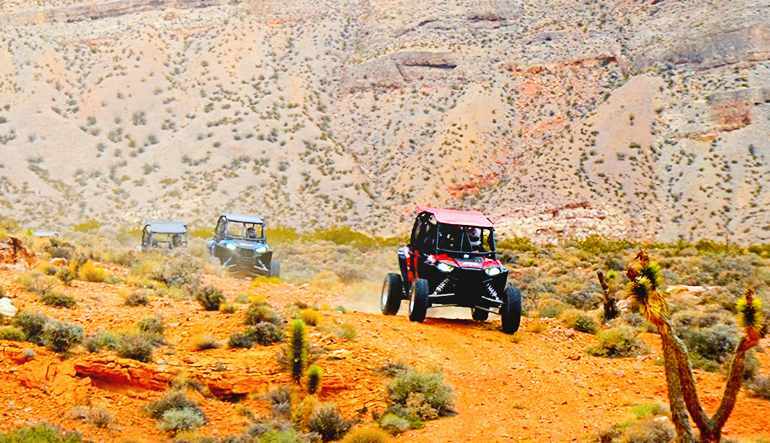 Toss your chips aside for a few hours; we’ll wager this UTV tour through the Mojave Desert provides Sin City’s biggest rush! 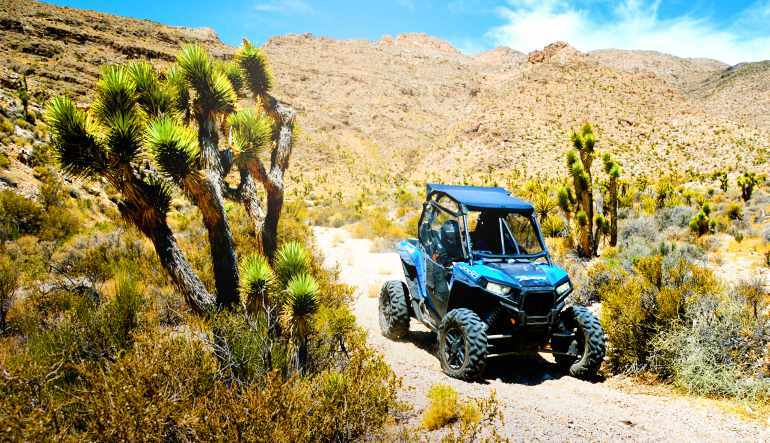 Spend up to 1.5 hours on a guided UTV tour in a Polaris RZR. Take turns at the wheel - both guests can drive! Explore Mojave’s mystical formations, beautiful Joshua trees and desert wildlife. Stop off at certain checkpoints to hydrate, snack and snap some shots of the sandy scenery. Learn all about the mythical sandscape from your nature-loving guide. After it’s all over, enjoy a lift back to your hotel. The fleet’s brand new and you’ll get to ride the star of the show: the 2015 Polaris RZR XP 1000. Boasting 999ccs and 110hp, it’s bigger and badder than its predecessors. And with its all-wheel drive and electronic power steering, it’ll move you across the sandy terrain without a hitch!